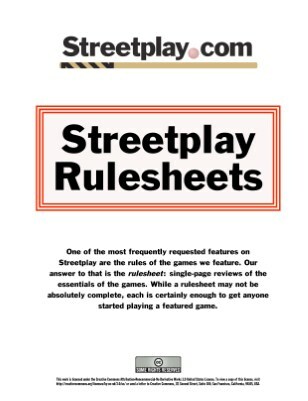 One of the most frequently requested features on Streetplay.com are the rules of the games we feature. Our answer to that is the rulesheet: single-page reviews of the essentials of the games. While a rulesheet may not be absolutely complete, each is certainly enough to get anyone started playing a featured game.